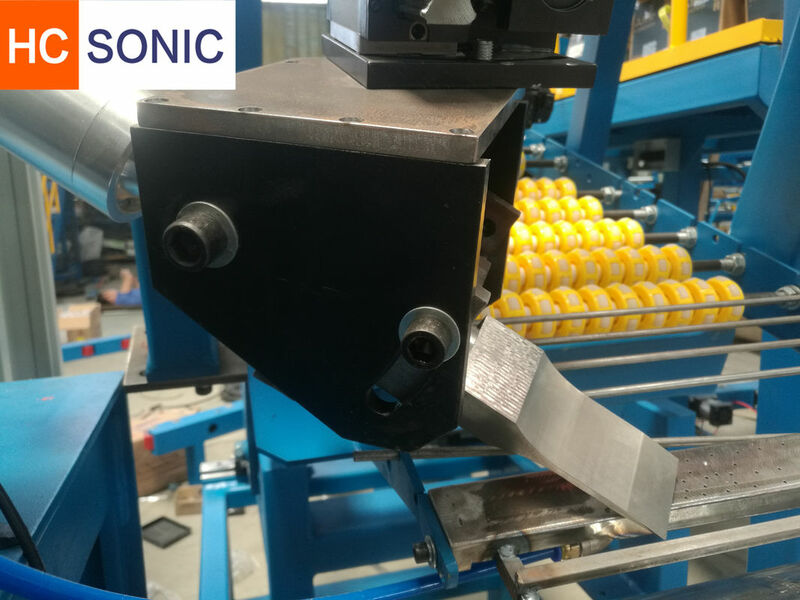 The principle of ultrasonic cutting is to convert a 50/60 Hz current into 20, 30 or 40 kHz of electrical energy by means of an ultrasonic generator. The converted high frequency electrical energy is again converted by the transducer into mechanical vibration of the same frequency, and then the mechanical vibration is transmitted to the cutting blade through a set of amplitude modulator devices that change amplitude. The cutting blade transmits the received vibration energy to the cutting surface of the workpiece to be cut, in which the vibration energy is cut by activating the molecular energy of the rubber molecule and opening the molecular chain. 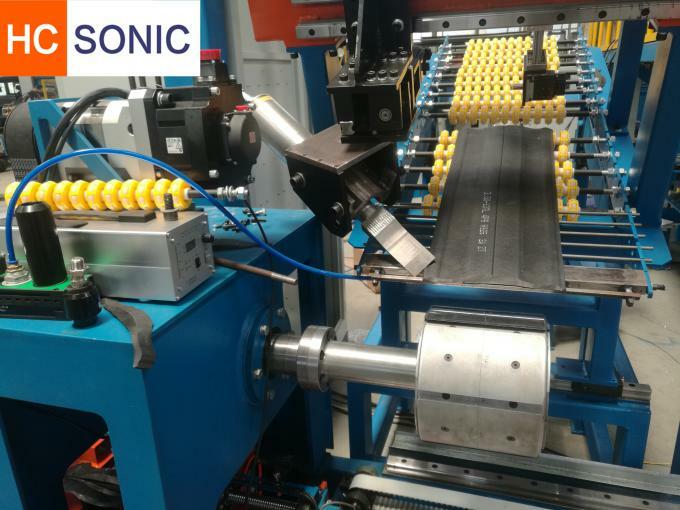 Ultrasonic tires cutting using special blades developed and manufactured by HC-SONIC mechanical department are capable of slicing through texturized 2 mm and even 5mm thick extruded rubber. The ultrasonic cross cut process provides the advantage of getting rid of the need to vulcanize the rubber. Tread rubber cut by using ultrasonic technology. The ultrasonic cutting process doesn't vulcanize the rubber. Ultrasonic blades cut through tires with great ease: by vibrating it penetrates inside the materials without the need for friction. Ultrasonic tires cutting allows the process to be regulated in a more precise way. The tire can be cut with accurate angles reaching up to 22°, considerably increasing the cohesion of the sliced section. 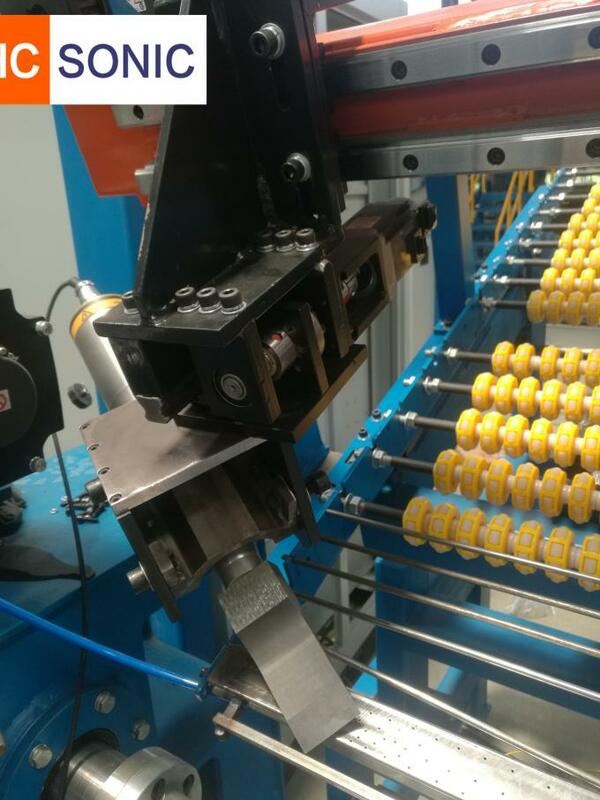 our Cutting systems have been devised to be embedded into automated lines. Blades can be customized according to the thickness of the tire that needs to be cut. HC-SONICS offers its own equipment to make free feasibility tests upon your products. makes the blade cut smoothly without deformation. - The cutting blade is made of titanium. It is completely inert and enduring material. reduce the down time to cleaning and increase the productivity. 2. The cutting surface has good finish and good bonding performance. 7. The key factors affecting the cutting knife are the angle of the knife, the size, the shape and the thickness. 10. The key factors affecting the cutting knife are the angle of the knife, the compound, the shape and the thickness.